Artist information page for Ngaire Sales. Ngaire Sales was born in Sydney in 1969. 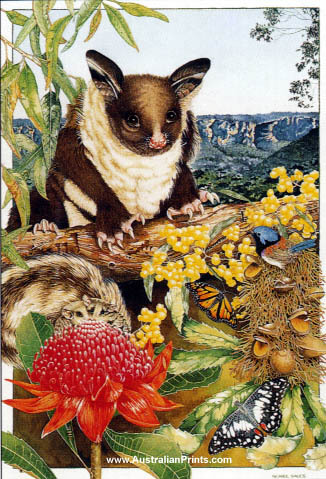 She studied graphic design and photography at the University of Western Sydney, where she discovered her natural talent for detailed watercolour painting. 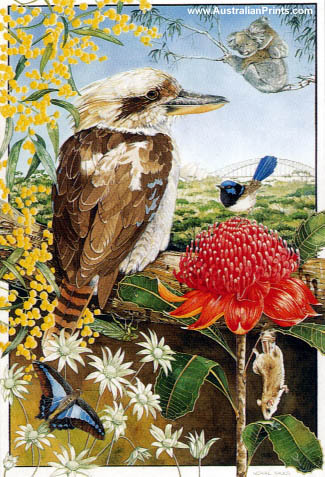 Ngaire presently works as a freelance designer and illustrator, specialising in Australian flora and fauna. Her meticulously renowned and detailed paintings are becoming well known and accepted in galleries and art exhibitions around Sydney and Queensland’s Gold Coast. 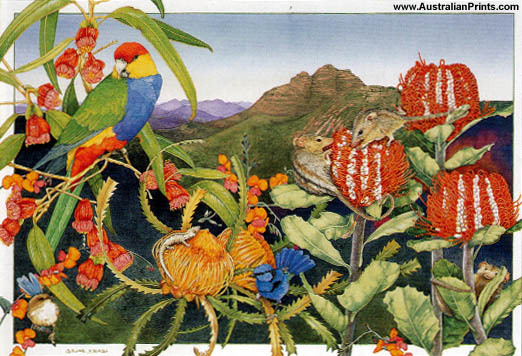 Ngaire has also completed several private commissions for botanical illustrations.